Reuters UKCentrist Emmanuel Macron would come top in the first round of France's presidential election ahead of far-right leader Marine Le Pen, according to an Odoxa poll, the first to show Macron with a first-round lead. Reuters UKFormer investment banker Emmanuel Macron cemented his status as favourite to win the French presidency on Friday as his conservative rival, Francois Fillon, came under renewed pressure to pull out because of a deepening financial scandal. 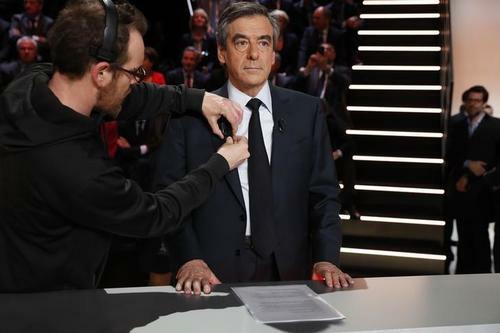 Reuters UKMore than two-thirds of French voters want conservative candidate Francois Fillon to withdraw his presidential bid following an alleged fake job's scandal, according to an Ifop poll for the weekly Journal du Dimanche newspaper. 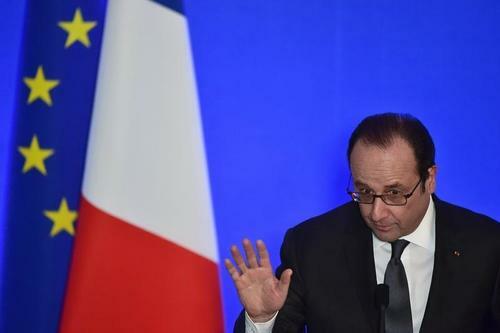 Reuters UKOutgoing French President Francois Hollande said in European newspaper interviews published on Monday that his "ultimate duty" was to prevent a victory of far-right National Front leader Marine Le Pen in this year's election. 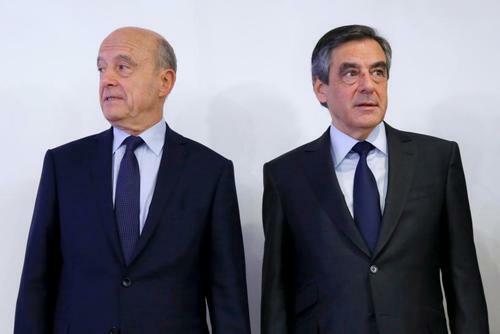 Reuters UKFrance's conservatives appeared to be at war with themselves less than 50 days from the presidential election as Francois Fillon clung on to his struggling, scandal-tainted campaign and senior party members fought to oust him as their candidate. 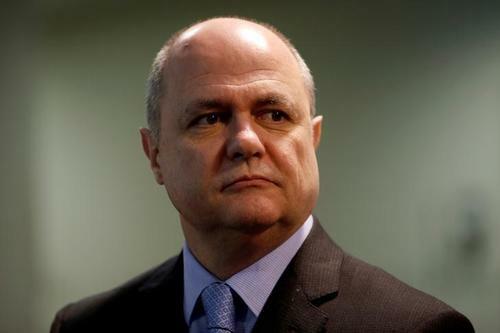 Reuters UKFormer prime minister Alain Juppe said on Monday he had decided "once and for all" not to stand in France's presidential election, dashing the hopes of many in his conservative party whose scandal-hit candidate faces defeat. 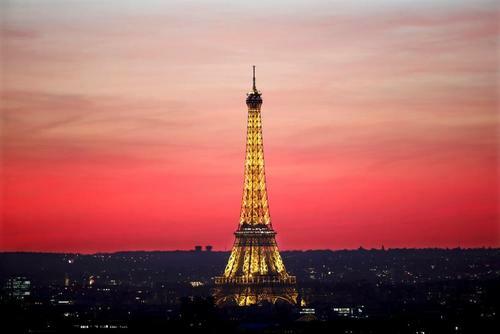 Commentary: Political corruption in France is common. Four reasons that could change. Centrist Emmanuel Macron would come out ahead of far right leader Marine Le Pen in the first round of France's presidential election before going on to win a runoff vote against her, a Harris Interactive poll showed. 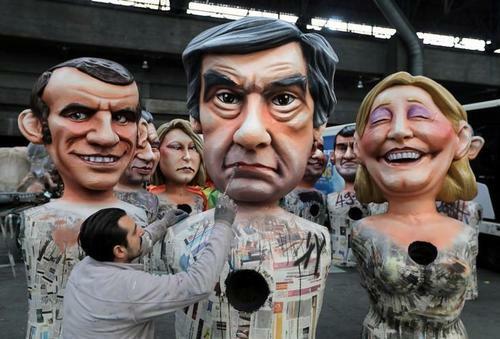 Reuters UKFrancois Fillon's party has apologised for tweeting a caricature of Emmanuel Macron, his main rival in the race to be France's next president, that Fillon himself admitted was anti-Semitic, adding to a row of controversies around his campaign. Reuters UKFrance sets out to dispel a national stereotype in its latest advertising push to lure financial companies from Britain, with the slogan: "You think we don't work much? We just like to be effective." 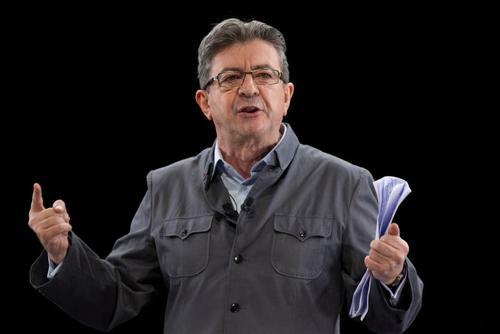 Reuters UKFrance's far-left presidential candidate Jean-Luc Melenchon said on Saturday he had secured the 500 endorsements from elected officials needed in order to run in the election. Reuters UKA new poll of French voter intentions on Saturday showed Emmanuel Macron solidifying his support and still likely to defeat candidate Marine Le Pen in the May presidential run-off. 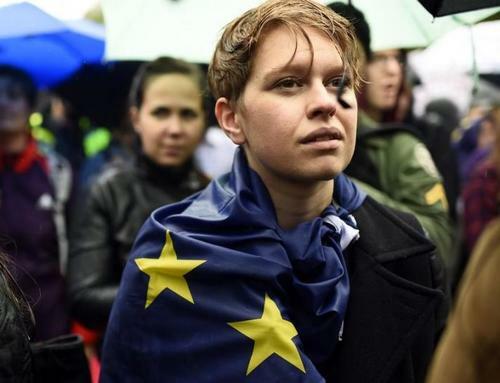 Reuters UKAs France wrestles with questions of security and immigration during its presidential election campaign, a Belgian playwright is using his art as a weapon in the fight against radicalisation. 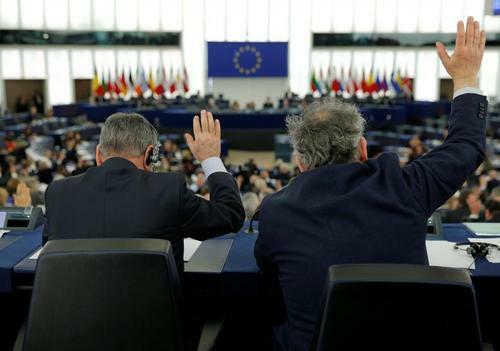 Reuters UKEurosceptic parties should not get European Union funds, the head of the largest group in the European Parliament proposed on Tuesday, a move that would strip parties like France's National Front and the UK Independence Party of millions of euros. 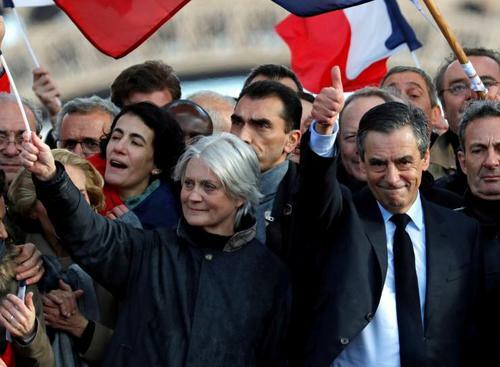 Reuters UKFrancois Fillon, favourite to win France's presidential election until he was hit by allegations of financial impropriety, sought on Monday to revive a faltering campaign, but found himself on the defensive again, this time over gifts of expensive suits. 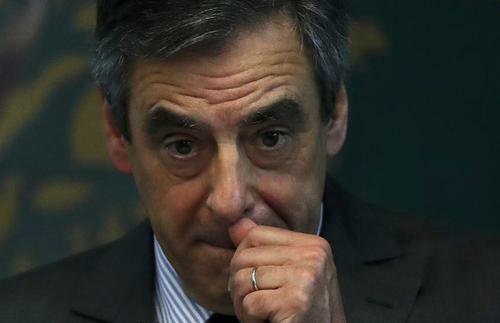 Reuters UKFrancois Fillon's troubled election campaign suffered yet another blow on Tuesday when magistrates put him under formal investigation on suspicion of embezzling state funds, a first for a presidential candidate in France. Reuters UKJust a few years ago, it was hard to find students willing to admit to being National Front cardholders. When a journalist went looking for members of the FNJ youth movement during the last presidential election campaign, most would agree to speak only if their names were withheld. Reuters UKFrench far-right presidential candidate Marine Le Pen has criticised British Prime Minister Theresa May for hosting her main rival, centrist Emmanuel Macron, while apparently snubbing her. 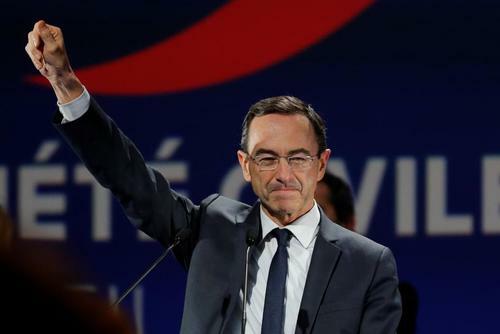 Reuters UKFrance's far-right National Front suspended a regional official on Wednesday after reports he had played down the Holocaust, dealing a setback to Marine Le Pen's attempts to sanitise her party's image weeks before a presidential election. Reuters UKWhen Emmanuel Macron last visited Berlin in January, he was seen as a long shot to win the French presidency, and couldn't even get a meeting with Chancellor Angela Merkel. Reuters UKFrench President Francois Hollande welcomed Dutch Prime Minister Mark Rutte's election victory over anti-Islam, anti-EU leader Geert Wilders, as did the man who hopes to beat far-right leader Marine Le Pen and take Hollande's place in a vote next May. 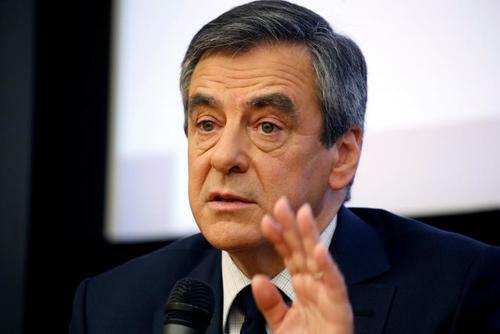 Reuters UKThree quarters of French voters want conservative candidate Francois Fillon to pull out of the presidential race, an opinion poll by Odoxa showed on Friday, underscoring how badly has image has been hit by a series of financial scandals. Reuters UKFrance's Emmanuel Macron has gained ground and would win 26 percent in a first round of voting in the presidential election next month, moving to within one point of far-right leader Marine Le Pen, an Ipsos opinion poll showed on Friday. Reuters UKScandal-hit Francois Fillon is set to be confirmed as the conservative candidate in France's presidential election on Friday as the window for putting an alternative name on the ballot paper closes. 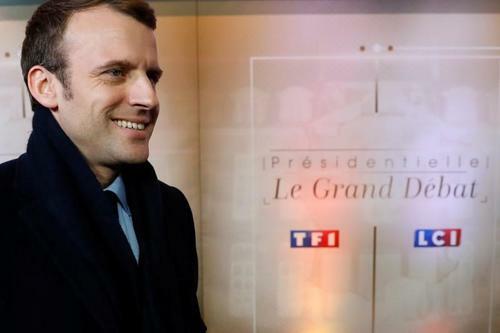 Reuters UKEmmanuel Macron remains favourite to win France's turbulent presidential election race, a poll showed on Sunday, on the eve of a first televised debate which could allow embattled conservative Francois Fillon to get back in contention. 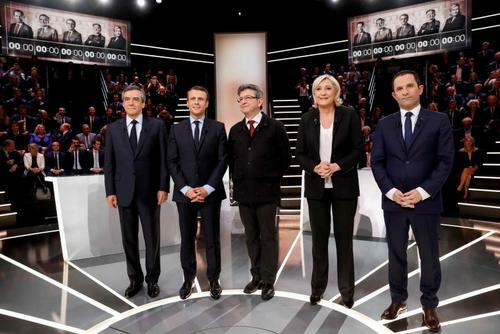 Reuters UKThe top candidates in France's volatile presidential election go head-to-head in a televised debate on Monday as polls show centrist Emmanuel Macron and far right leader Marine Le Pen pulling away from the pack five weeks before the first round. 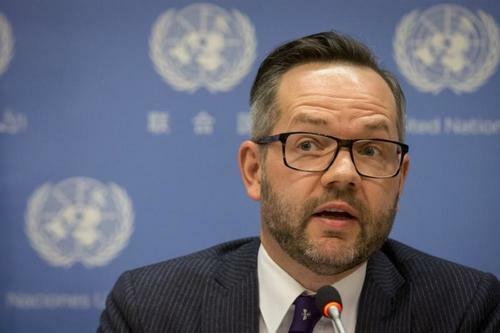 Reuters UKFrance must accelerate reforms and changes to tackle growing social and economic problems that are fuelling nationalism, populism and the rise of Marine Le Pen, leader of the far-right National Front, a top German official said on Tuesday. 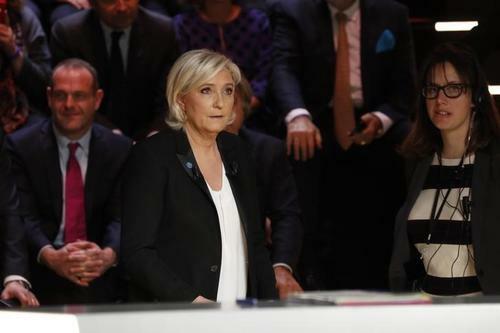 Reuters UKFrench far-right leader Marine Le Pen stole a line from pro-Brexit campaigners in a televised debate on Monday, castigating other presidential candidates who criticised her plans to leave the euro as resorting to "project fear". Reuters UKFrench conservative Francois Fillon criticised German Chancellor Angela Merkel for her refugee policies in a televised presidential debate on Monday, saying her management of the migration crisis had caused huge problems for Europe. 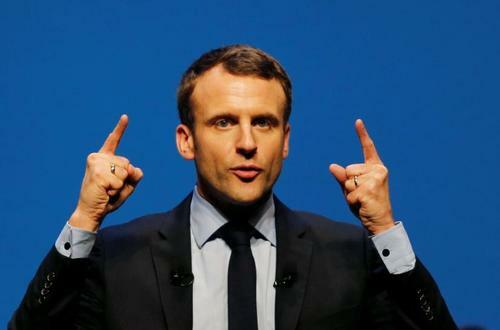 Reuters UKCentrist Emmanuel Macron solidified his status as frontrunner in France's presidential election on Monday in a televised debate during which he clashed on immigration and Europe with his main rival, far-right leader Marine Le Pen. Reuters UKCentrist Emmanuel Macron's bid for power in France gathered pace on Tuesday when he won support from a junior minister in the Socialist government while the interior minister resigned amid scandal in a new twist to the topsy-turvy presidential campaign. Reuters UKFrench centrist Emmanuel Macron has slightly increased his lead on far right leader Marine Le Pen in the first round of the French presidential election, an Elabe poll of voting intentions showed on Tuesday. Reuters UKFrancois Fillon's campaign chief on Wednesday denounced what he called a daily "soap opera" of media leaks designed to hurt the conservative French candidate's prospects of becoming president. 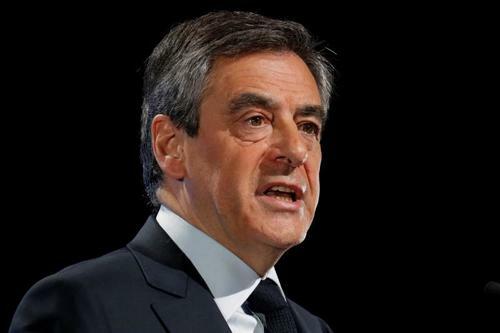 French presidential candidate Francois Fillon speaks as presidential candidates hold a conference with mayors of towns from across the country. Reuters UKCentrist Emmanuel Macron is projected to come out on top in the first round of France's presidential election next month ahead of far-right leader Marine Le Pen before going on to win in a runoff, a Harris Interactive poll showed on Thursday. 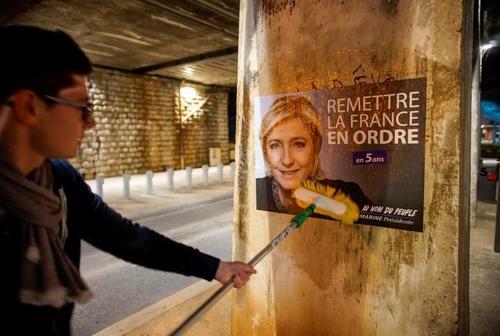 Reuters UKA month before the first round of France's presidential election, 43 percent of voters are hesitant about who to vote for, a poll said on Friday, underlining the uncertainty surrounding the volatile election campaign.